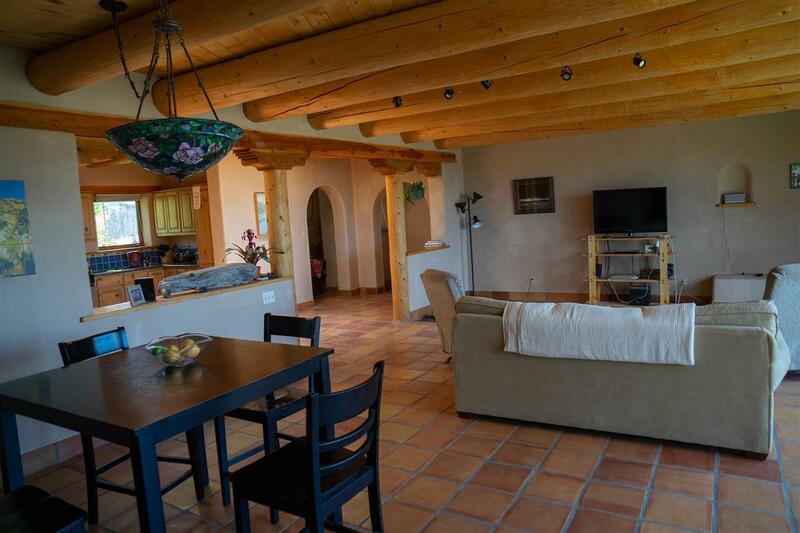 This 3-bedroom/2-bath real adobe on 1.9 private acres has the feel of a private retreat. 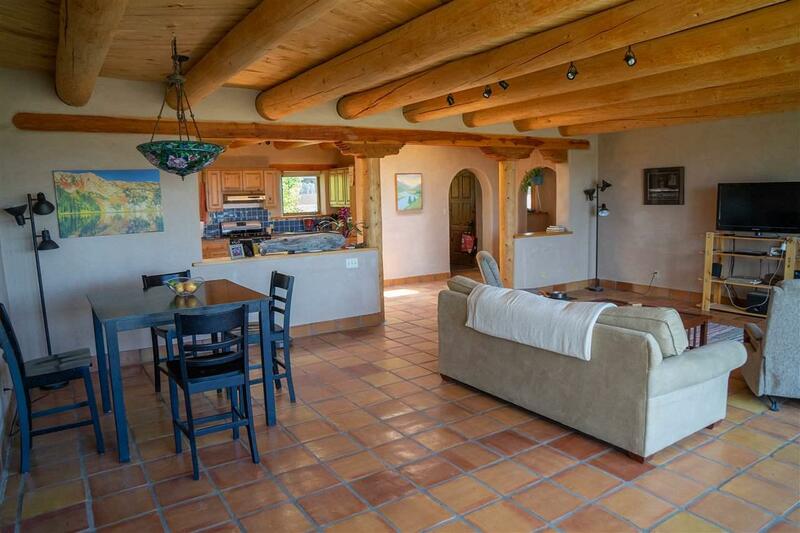 Spacious 2,700 square feet, with classic southwestern style, including viga beams, saltillo tile floors and two "kiva" fireplaces. 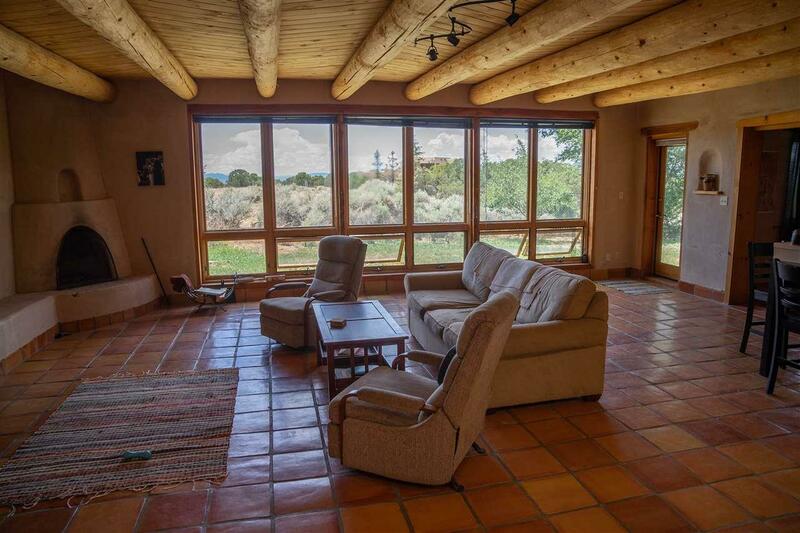 Living room has a wall of south-facing windows for lots of light and passive solar warmth in winter. The fireplace adds cozy ambiance. A covered portal and a walled courtyard provide pleasant outdoor living spaces. Large master suite has a fireplace, a generous bathroom with jetted tub and separate shower stall, and access to private walled courtyard with outdoor shower. Third bedroom is almost 600 square feet, with a small office space, and plenty of room for a sitting area, exercise equipment, etc. 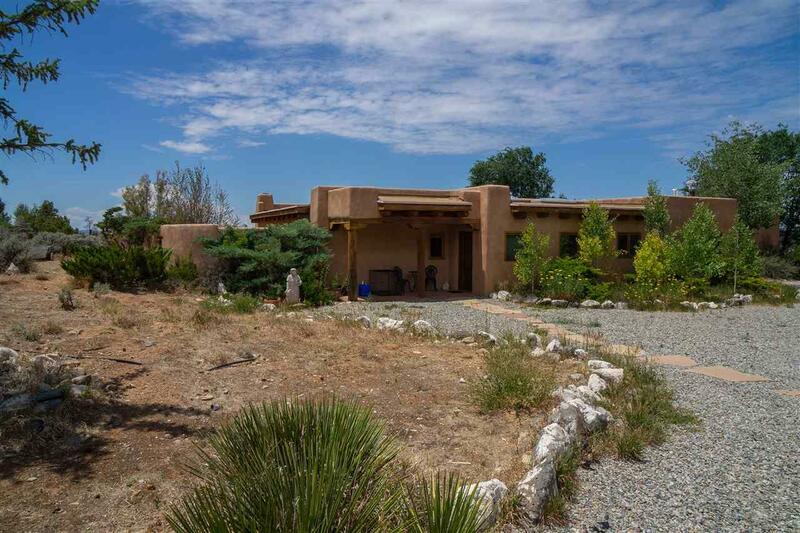 The large yard with a gentle slope has plenty of room for animals, gardening and other outdoor activities, or just quiet sitting areas from which to enjoy the fine views. Possible hiking access through neighboring property into nearby canyon. The 2-car carport has an attached storage room/workshop.